The new circular economy package “seems to me that it is mainly focused on recycling materials, and that is off course also important. 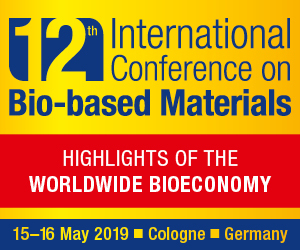 But we should also be looking at sustainable production, reducing the amount of oil used and replacing them with biobased products, preferably with a negative CO2 print”. Arno van de Kant, business development director of the Bioprocess Pilot Falicity located in the Netherlands, talks to Il Bioeconomista about the Dutch bioeconomy and the European policies to support the field. The Netherlands is one of the leading countries in the European bioeconomy: large companies, research centers and universities of the first level, great vision of the government. What exactly is the bioeconomy for the Netherlands? Bioeconomy is a very important strategy for the Netherlands. Because of our strength in Chemical Industry, Agro, Food and logistics we are trying to be one of the first to be successful in the move to a sustainable circular economy. What is your opinion about the new circular economy package? It seems to me that it is mainly focused on recycling materials, and that is off course also important. But we should also be looking at sustainable production, reducing the amount of oil used and replacing them with biobased products, preferably with a negative CO2 print. You were one of the first countries to have a national plan. What are its three main pillars? The definition of the government of a biobased economy, is an economy where companies have non food applications from biobased feedstocks. The non food applications are chemicals, biofuels, materials and energy. There is a strong relationship between all kinds of fields and expertise: climate, energy, trade, agriculture, food, knowledge, biodiversity, logistics and transport. The government is supporting building networks to promote the biobased economy. Reduction of CO2, use of the economic strengths of the Netherlands and active promotion of international cooperation are the basis of a sustainable growth the Dutch biobased economy. What is the role of the Bioprocess Pilot Facility (BPF) in the Dutch and in the European bioeconomy? 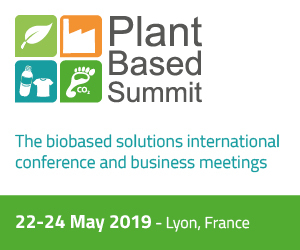 Scale up of biobased processes is key to bridge the gap between all the great ideas on labscale from companies and universities to a commercial viable large scale industrial plant. The Bioprocess Pilot Facility has the experience and the facilities to help startup and large companies to accelerate their scale up process. Investing in a pilot plant dedicated to a company can be a large investment (15-20 Million Euro), and maybe even more important, you need experienced process technologists and operators to (im)prove the process. What are the major projects you’re working on? Working as a contract service organization for many chemical, food, biotechnology companies confidentiality is very important for our customers and they have to be absolutely sure that we will not reveal their projects. What we are allowed to say is that we are mainly working on new biobased chemicals and biofuel projects. Pretreatment of biomass, fermentation and downstream processing are key technologies to scale up to an economic viable industrial process. We are working for top chemical companies like DSM and others, but also for small biotech start-up companies. Our customer base is very divers and you see more and more companies shifting to sustainable biobased processes. To name a few, Photanol, DAB, Verdezyne, Leaf resources / Monaghan Biosciences, Koopmans/Agrifirm, Somaya/Godavari etc. 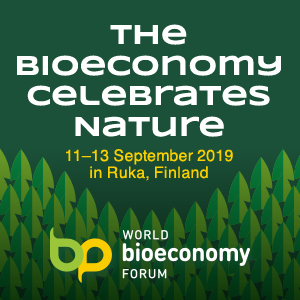 What do you think the EU should do to increase its competitiveness in bioeconomy? I think we are not moving fast enough, when I look at the developments in the US, Latin America and Asia. There is a lot of knowledge in Europe, but there is a lack of entrepreneurship and venture capital money. With the current oil prices it is difficult for startup companies to make the step from labscale to industrial scale. Europe should be investing more in training of young people to be more entrepreneurial, should help companies with access to money. Europe should have a level playing field for biobased products versus oil based products, or better encourage more the use of sustainable biobased products by regulation, and give penalties for using oilbased products. EU should have a preferred supplier directive for biobased products, be the first customer.